Marianna Rolbina is a PhD Fellow in Management at Cass Business School, City, University of London. 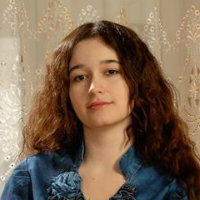 Her research focuses on different aspects of strategy in creative, or cultural, industries, such as television, video games and movies. Specifically, it aims to answer a question of how creative products, idiosyncratic to the culture they originate in, are able to be transferred and replicated internationally. Prior to starting her PhD, Marianna had been working in media where she gained a first-hand understanding of this industry that inspired her research. Being actively involved in teaching at Cass Business School, she also gained experience teaching Strategy, Research Methods, and Marketing on undergraduate and postgraduate levels. English (can read, write, speak, understand spoken and peer review), French (can read) and Russian (can read, write, speak, understand spoken and peer review). Marianna's research focuses on international replication of cultural products, such as television shows, to uncover new insights into replication as strategy. The study draws from interviews with format managers from leading international television companies as well as the analysis of the television formats, i.e. shows that have been remade in different countries, to outline contingencies that determine what allows a cultural product to be recreated abroad successfully. By bringing together management research and media studies, it aims to advance our understanding of what makes a cultural product replicable internationally, as well as to expand the knowledge of local adaptations that are involved in replication as strategy. EGOS. (Conference) Copenhagen, Denmark (2017). Invited speaker. Co-authors: Lanzolla, G.; Rolbina, M.
European Theory Development Workshop. (Conference) Zurich, Switzerland (2017). Invited speaker. SAMS (Society for the Advancement of Management Studies) Creative Industries Worshop. (Workshop) Edinburgh, UK (2017). Invited speaker. Digital Transformation and Strategy Forum. (Conference) London, UK (2017). University of Edinburgh Business School Creative Industries Conference. (Conference) Edinburgh, UK (2016). Invited speaker. Scale and Scope @ CASS. (Conference) London, UK (2016).